inspiration piece is a gorgeous day planner, see it here. Love this one! Thanks for the reminder pretty lady. I hope you have a fantastic day! Oh my word, what is that beautiful font you used as your headers? 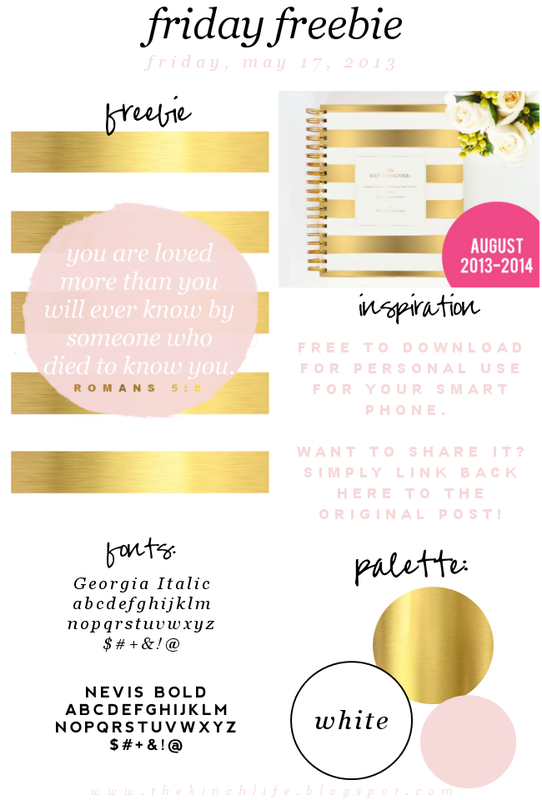 "freebie" "inspiration" "fonts" "palette"? I am in loooove! Love your colors this week! I've been obsessed with your planner and I'm now obsessed with this freebie. LOVE IT! I absolutely love this background. Thanks so much for sharing your talent!